CRP-Gobindapur is in Moulvibazar District in the North East of Bangladesh. Here CRP has four bungalows set in 13 acres of land. The centre is used as a base for community based and out-patient therapy services in the area. Student placements in Physiotherapy and Occupational Therapy are also run from the centre. Construction of a new accommodation block for out-patients, students and staff members has been completed. This has greatly enhanced the potential of the Centre which is situated in an area with very limited services. The bungalows act as guest houses for tourists and visitors who can take advantage of the scenic and peaceful surroundings. The income from the guest houses offsets the operating costs of CRP-Gobindapur. 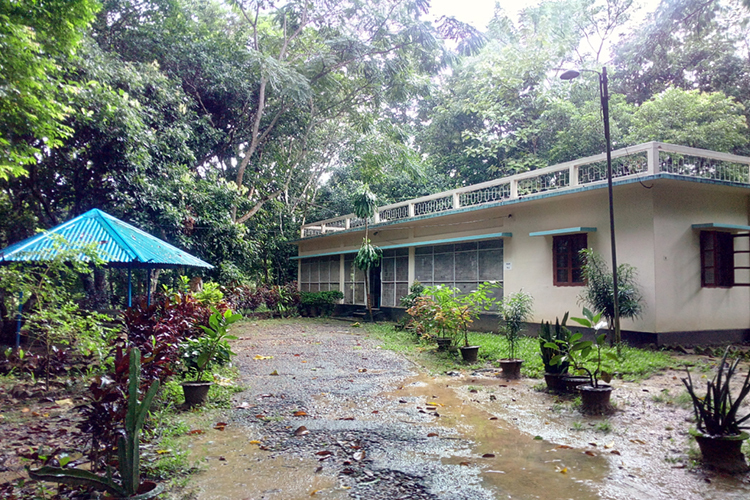 The Centre for the Rehabilitation of the Paralysed (CRP) has 3 bungalows in Gobindapur, near Moulvibazar, which can be rented by guests. The bungalows are situated in a secluded hilly area, surrounded by tea gardens and rubber plantations. This is an ideal location for relaxation and solitude and a safe environment for children. Each bungalow comprises 3 bedrooms (en suite bathroom), living and dining area, kitchen and veranda. All meals are provided by CRP caters for both individual and group booking at very reasonable rates. There are many places of interest close by, for example: Madhakunda Waterfall, Madhupur Forest and Lake, tea estates, rubber plantations and forest walks. Tours can be arranged at the time of booking. Recreational facilities include volleyball, badminton, Croquet, board games, television, and a mini- library.